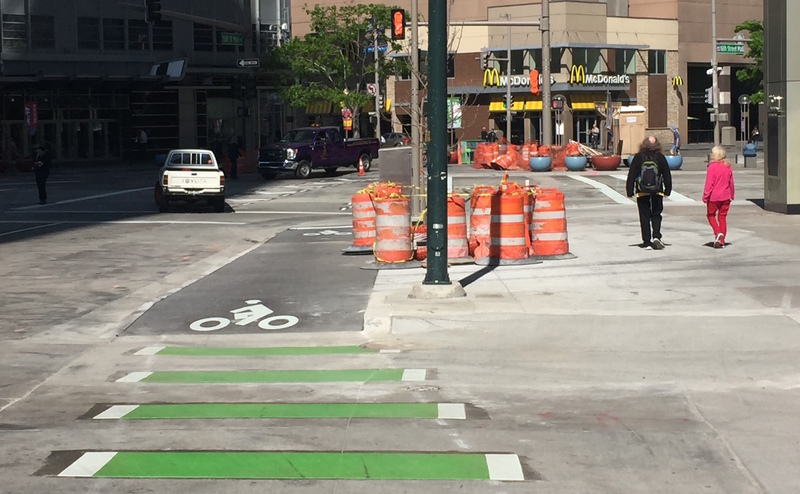 Denver Public Works is adding a short stretch of raised bike lane, new intersection markings, and a bike-specific signal at 16th Avenue and Broadway, improving a tricky crossing for people biking into downtown. Buses constantly turning into Civic Center Station and drivers turning left onto 16th make for a chaotic intersection for pedestrians and bicyclists. 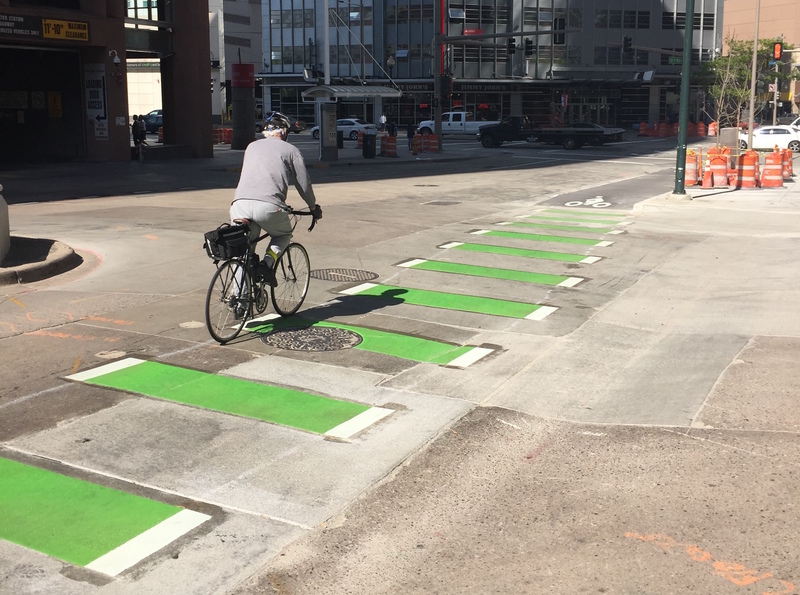 The makeover should smooth things out with a bike-specific signal (not yet operational) for crossing Broadway, curb expansions on the corners, and clearer markings for people biking and walking across Broadway. 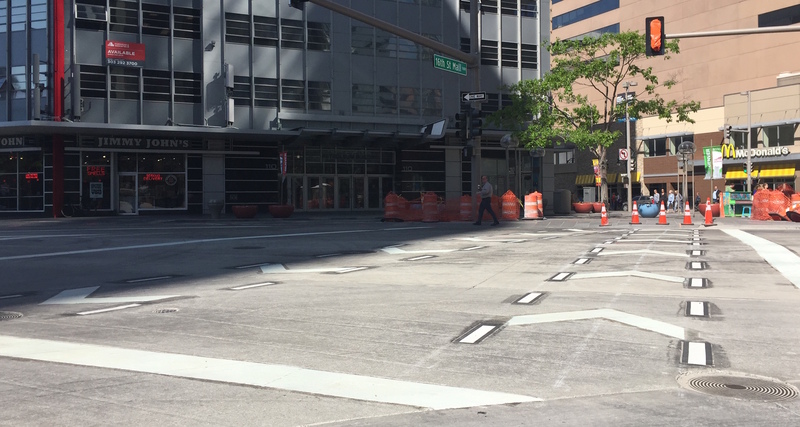 The bike lane has a painted “stop bar” to cue bicyclists to yield to pedestrians. It’s a small project that should still pack a punch in terms of connectivity. This block was a thorn in the side of anyone who uses the 16th Avenue bike lane to get to transit or to the 15th Street bike lane downtown. The raised bike lane is similar to the one on Bannock Street in front of City Hall. The project originally called for protecting this short stretch with a concrete island, but constructing the island would have conflicted with infrastructure beneath the street. DPW expects this project to be completed by June 1.